Baseball Stories, Facts Or Tales? You Have Our Attention So Tell Us About It, Straight Out Diamond Talk. Baseball-Diamond-Stories are some more of our shared baseball stories, facts or tales and are worth the repeating for all to enjoy. Providing the information about our game of baseball may be true stories, short stories, poems, songs, or even out and out myths which we all know and call our baseball-lore. Our treasures of baseball-diamond-stories are really polished gems of how we remember those fun days with our buddies and teammates on the diamonds of American Legion baseball long ago or the ballparks of now. You are certainly invited to come aboard the baseballfarming website talking all about baseball and provide some of your baseball-diamond-stories real time tales or baseball-short-stories about yourself or good information about our game of baseball. So, what baseball-diamond-stories would you like to share? Have A Baseball Diamond Story You'd Like to Share? Do you have baseball stories, facts or tales you'd like to share with us? 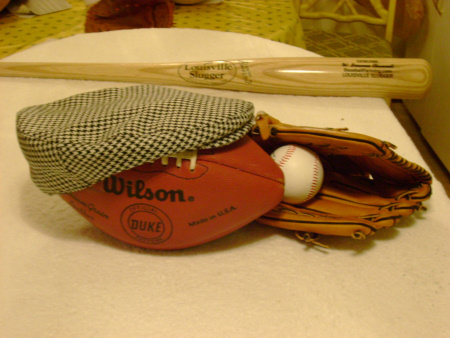 We're interested in true stories, short stories, poems, songs, or even out and out myths about baseball which we all know and call our baseball lore. Your baseball story will appear on a Web page exactly the way you enter it here. You can wrap a word in square brackets to make it appear bold. For example [my story] would show as my story on the Web page containing your story. Do you have a picture to go with your story or fact? Great! Click the button and find it on your computer. Then select it. Another one of Baileys baseball talk or baseball-diamond-stories: A little thought provoking satire with humor and some gems of truth but all a part of the continuing saga of telling baseball diamond stories. Why Are Baseballs Round ? Curiosity has got the best of me on this baseball-diamond-stories so please tell it why a baseball is round and how The Thinker came up with his round design of the baseball. I don’t know The Thinkers mental IQ, but I bet he was ”one smart cookie”. Baseball-Diamond-Stories will certainly be delivered in all sizes and shapes so let your imagination help make it most enjoyable. He must have been a physicist or an ardent inventor in his thinking prowess. In my thinking he gleamed some past ideas to design his ball from some great designers preceding him. To begin with the creator of the universe in his master plan used the round concept to make his creation perfect. Just think of the earth, sun and moon. Nothing could be rounder. In art the circle is a basic element that the master artist can use for extraordinary effects. If there ever was a prehistoric cave man as has been depicted in cartoons as making a rock wheel as his first mental achievement beyond the norm. Think about the sacred token of engagement and marriage between loved ones. You’ve got it the rings are round with a special meaning of “never ending and eternal love”. Even back in Medieval Times when King Arthur ruled he seated his Knights of the Round Table in a circular or round fashion as a show that to him all were important and that he expected undivided loyalty. Success in other areas must have crossed "The Thinkers" mind in formulating his plans for the game of baseball. Checkers, golf balls, the bases of chess pieces, metal coins as a medium of exchange, and the pulley to get life giving water from the well as well as help hoist bales of hay to the barn loft. Round wheels were on first the Settlers Wagons, Stage Coaches and then the locomotives that carried settlers and passengers from the East to their new “Homes of Hope and New Beginnings in the West”. Even the cowboys in their herding of cattle and/or horses used the phrase “Let’s Round Them Up” and never would they say let’s go catch the horses or cattle. Now I think that I have a little better insight into what "The Thinker" was thinking with his baseball diamond stories. I’m saying that he came up first with the idea of a small round ball that could be used in a game since the round object concept had always been such a success in the past. I think that when the baseball design was completed he looked at it and said this is good and it is something that I can use to create “A Game for the Ages” and that he did with his “Game of Baseball”. In my opinion the ball come first and then the other aspects of the game come later. However, I don’t rule out that bats and gloves were in his original thinking about a game centered on “A Round Ball”. My hat is off to the brilliant and visionary Thinker. Bet you thought all the baseball-diamond-stories would be all baseball huh! Baseball-diamond-stories as provided to us by the history of the game from the beginning and which, was and still is, a team sport. In our major and minor league baseball organizations the owners and managers always try to put their best players in the starting lineup and on the field in an effort to win the game. After all baseball like other sports main purpose is to outperform the opponent and win the game. But in doing so they frequently go to the bench for help from their talented reserve players. The moments and trials of the reserve players is what makes for unbelievable enchanting baseball-diamond-stories. Each baseball organization has a substantial investment in each and every player and not utilizing these non-starting players is not economically practical. Baseball in the majors is big business with huge investments in player salaries and playing facilities. So winning and drawing fans to the park is imperative if the organization is to make money. The baseball organization cannot afford to have players sitting around and not earning their keep. So periodically these reserve players are called from off the bench to help the team in trying to win the game during unique situations. It allows these back-up players the opportunity to hone up on their batting and fielding skills in a game situation. The Tampa Bay Rays during the baseball season of 2008 have proven the maximum use of all the players on their roster has paid handsome dividends during 2008. Gabe Gross a young player out of Auburn University has been used as both a starter for periods and as a reserve being inserted to play sporadically through out the season. The Tampa Bay Rays use of the entire roster is a shining example of how teams using teamwork is great for our game. Would you agree the plight of reserve players give us ample gist for wonderful baseball diamond stories? Some of these players have even rooted their way into a starting position after showing off their game skills and being able to deliver during the pressure of a game. Baseball diamond stories must also be concerned with the antics and learning behavorial actions of our younger players. Not so my friend in the youth baseball programs or little league program that I was brought up in. Back then there was no T-Ball and the like for the little guy. Baseball being a team sport I direct this writing to the moms and pops of the little ones who had to grow into the game to play and then there was no guarantee that playing time would be offered to even the older ones on the team. The best I can recall there were about 15 players on each team ranging in age from 9 to 12. I was one of the lucky ones because I got to play to my hearts content due to some excellent coaching by my older brother in how to play the game. Now as I look back at some of the injustices of depriving everyone the opportunity to play some in every game is just heartbreaking and these heartbreaks are keenly intersting baseball diamond stories. I know first hand because when my son was playing little league over 20 years ago he earned the right to be a part of his little league all-star team. The all-star coach’s influenced by parental political pressures let my son sit on the bench and he never received any playing time during the entire all-star series along with several other youngsters. During all-star play one of the coach’s son was playing left field and injured his leg during the game. My son could also play left field among other positions well, but the coach would not pull his lame son out of the game and substitute another player. You see all those boys in the dugout had earned a right to play and were of a caliber that each and everyone could get the job done and do it well. Now mom and pop you know what I am talking about. We go to the ballpark to watch also "our" young children play. When our child gets older we all recognize there will always be bench sitters and we learn to accept that. However, a child in their early and formative years who wants to play and gain experience and confidence should not to be denied the opportunity. Certainly they don’t want to be warming the bench and feeling they are not an active part of the team. Shame on the coaches who have put winning ahead of the self-esteem of a young ball player. Little League baseball diamond stories which emphasize Little League play is a team sport and lets make it be that way for my/our children and now my/your grandchildren. Hopefully the politics of Little League baseball is only a past memory of mine and times have changed. Surely the rules now are such that all players receive a little playing time and each child can receive the satisfaction of knowing they have helped the team win, lose or draw. Help foster the wellness of baseball provide your own thoughts by telling and talking about your experiences and your baseball diamond stories. As one quotation so aptly applies to the team spirit “One for All and All for One”. Many of the baseball-diamond-stories will have a real moral to the real meaning of the telling. Questions For The Whiz. Watch out for baseball-diamond-stories and talk might get in a little double talk. Wizard of Baseball or Baseball Whiz or The Wiz (The Whiz) I have a few questions for you, but first of all I have a couple of comments. When I did a Search I found Tommy LaSorda referred to as the (Baseball Wiz) and Hall of Fame great Ozzie Newsome referred to as the (Wizard of Oz). In referring to the dictionary I was able to determine that (whiz) is synonymous with (wiz). 1. What is a squeeze play? When is it most likely to be used? Who calls for the squeeze? Is it the manager, the base coach, the runner, or the batter? Diamond Talk will call this a do or die suicide play. Diamond Talk knows you know the manager is the one responsible for calling such a daring play as a suicide squeeze bunt. Baseball-Diamond-Stories adds this caution!! "The runner and the batter had better be playing on the same page." The runner is a cold dead duck if the batter does not do his thing. Did Diamopnd talk cover all the bases for you on that question? 2. What is a switch hitter? Who are the most notable switch hitters now or in times past in major league baseball? Baseball Diamond Talk whispered to the baseball Whiz and said, "If you prefer standing on the other side of the home plate then for goodness sake switich to the other side." 3. If a ball hit out of the park hits a post(pole) on the line (foul line) is the hit ruled a homer or a foul ball? Well ! and that a deep subject but Diamond talk says, "All is fair in love and war." It has to be fair. When a ball kicks up a puff of white of foul line chalk on the ground it is ruled fair and in play. 4. Why is a first basemens glove(mitt) sometimes of a different design than the other infielders? Hey good buddy Diamond Talk believes you need the biggest sack you can get when scooping for diamonds so do the same for the baseballs coming over to first base from any where on that infield. 5. I want to know how you are going to explain "the cup". That ought to be a good one. Diamond Talk thinks if a blind man using a cup for receiving donations then a catcher could have a cup for receiving bad pitches. 6. What major or even minor cities have lost major league baseball teams? Where did they go and did they stay? Diamond Talk will have to go confer with the baseball Whiz on this one. It is sort of like where did the wind come from and where did the wind go. 7. What famous singing cowboy actor owned a major league baseball team? What was the cowboy's name and what team did he own. I thought at first it was Roy Rogers but the hue and cry from the rabble told Diamond Talk it was Gene Autry and his sidekick Smiley Burnett and they named their team the Angels. The Califonia Angels now the Anaheim Angels. 8. What American President had the most financial involvement in a major league baseball team. George W. Bush had a huge stake in the ownership of the Texas Rangers. 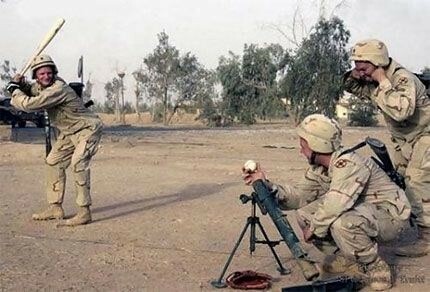 Can you mix oil and baseball? 9. Will you provide me with some good movies to watch based on baseball. I have already seen The Rookie, The Natural, Bull Durham, Eight Men Out, Field of Dreams. They were all great. Gimme more to watch. I love baseball. Ole shoe Diamond Talk without hesitation told me the title was forgotten but the story of a pitcher with a disabling leg injury played by James Stewart and June Allyson the life story of Monte -------. You fill in the last name. 10. What adjustments are required by infielders when changing from grass infields to playing on an all dirt infield? Which is more predominant in major league play ( grass or dirt)? Diamond Talk giggled a litle and gruffly said, "Be quicker than a crickets chirp." A well hit ball coming toward you on that grassy slick infield has blue darter written all over it. Grass with dirt around the edges cowboy is what all the professional teams play on. 11. What is the designated hitter rule and how does it differ between the American and National league teams? What is the rule in World Series competition? Someone has to hit so if you are designated then get up there and take your whacks. You will probably strike out anyway. Diamond Talk is pulling your leg a little on this one. There are some things you should go check out and find for yourself. 12. What is the longest homerun hit in modern baseball history. Who hit the ball? How many feet was the blast recorded at? On what team did the batter play and who was the opposing team? Who was the pitcher who gave up the homerun? What was the date of this occurrence? I don't really know but have they found the ball yet? I will give you a multiple choice answer only one is the correct answer. Ask The Baseball Whiz: Diamond Talk and Baseball stories never told are maybe questions never asked. Bailey has loaded the wagon and put me on the spot. As you might well imagine there are many baseball stories and zillions of questions. Here at baseballfarming website we have a series of pages dedicated to "Baseball Lingo" where an attempt to answer many of our frequently heard and asked questions. After all Dorothy, the Tin Man, the Lion and the Man of Straw all went searching for answers to their personal problems and questions to issues in their lives. The best I can recall all were satisfied when they received their answers from "The Wiz." The amazing thing is that there was no magical solution to their problems. Only common sense was needed to cure their problems. Courage, Heart, and all was available to them through the use of common sense. Common sense and the unique gift of communicating it to others is all that's needed for Diamond Talk and to tell baseball stories. Therefore, you can go to a wizard (an intelligent person)in the area of baseball stories or whatever related to the game and get a straight forward answer without a lot of technical jargon. Teach and relate to others in a common sense approach that "gets the job done." I'm going to ask "The Wizard (Wiz) of Baseball" in the future. Since I think that you are the most worthy and appropriate person for the position I held a board meeting to confirm your lifelong appointment to the position. The vote was unanamous. One to nothing in your favor. So congratulations Wiz on your nomination and confirmation. Now take this or some other catchy name and put it out there for the world to see. One of the benefits of being The Wizard or Whiz is that you can be whatever or whoever you want to be with Diamond Talk. Let's put a mark in Mr Jeeves mail receipts. And of course don't let all the Dorothy's, Lions, Tin Men, and Straw Men down who have a love for the game of baseball. They are looking for answers and with you being "The Wizard" of Baseball you really have an opportunity to enlighten them about baseball facts, fundamentals, and motivational aspects of the game. In a sense you will be coaching from your Diamond Talk command post in front of the computer monitor using the internet to make the play calls to the players who must have leadership to succeed in this wonderful game of baseball stories. So Wiz give them their answers and make your recommendations for change in their lives so that they will be better prepared in achieving their Diamond Talk dreams using your common sense approach that is tried and true. Baseball-diamond-stories sometimes leave a lasting memory. This is one of the classic baseball stories. Comments Risk vs Reward or Guts and Glory Watching a game in one years World Series along with my Dad and brother Ben we witnessed one of the most phenomenal and memorable hitting display in my memory. I can't remember the teams at play, but I do recall "the shot that made the earth shake". The cheers and jubilation of the fans rocked the stands that night over this phenomenal hit. Kirk Gibson, a player with a gift for hitting the long ball had been unable to play in the game due to his disabled legs. Gibson could hardly walk, much less run the bases. Whether it was his personal plea to go to bat or the manager's calculated risk to send Gibson to the plate in the bottom of the ninth with the team behind I do not know. However, being the competitor and the champion he was I tend to think that he insisted that the mabnager let him go to the plate.The rest is history. Gibson gingerly made it to the plate and with great confidence faced the opposing team's pitcher. Then the miraculous reward occured for the risk of sending a great, but disabled batter to the plate to try and win the series with a hit over the outfield wall. With two out a ground ball would be a most certain out since Gibson wouldn't be able to make it to first due to the fact that he wouldn't be able to run it out. A homerun was the only option for Gibson, his team and their fans. Gibson a gifted left handed-hitter drove a good pitch deep into the right field stands to win the game (World Series). It will be forever etched in my mind Gibson circling the bases and "cranking it up" in satisfaction as he rounded third base headed for home. This is a once in a lifetime event to witness even though it be by television. This feat was so notable I have seen it on sports television reruns occassionally in memories of the game. That night Kirk Gibson moved up into hero status in my mind. The game, the teams, the final score and the year does not matter. It's more about a player with guts and optimism in the face of adversity going to bat for his teammates and fans and bringing home the glory. Brownee To the best of my knowledge I have tried to describe this fantastic homerun achievement. Maybe you can fill in the details for this, but I do know that it was a disabled Kirk Gibson who hit "the shot that shook the earth". I believe the game took place on the west coast maybe at Aneheim,Los Angeles, or San Francisco. If he was a LA Dodger Tommy LaSorda was probably the manager. If so maybe you can give LaSorda a call and find out exactly what was the "real story" about Gibson going to the plate when the odds were all against a succesful at bat under the circumstances. Gibson more than likely had to have his "lucky wabbit foot" with him that night. What do you think? Ps You might ask brother Ben about this and he may be able to recall more of the details. Dad knows, but we'll have to wait till later to get an answer from him. You know he really enjoyed watching baseball on TV and I really enjoyed watching it with him. Great Memory! Even baseball-diamond-stories will be scrutinized so be careful how you tell it. After looking up Idol in the dictionary I have second thoughts about your using "American Idol" as one of your topics. I know that we have all idolized certain players and considered them as our "idols", but in actuality we normally "look up" to them as role models who are high achievers in thre respective sport or professional field. I would not suggest that you remove the term "American Idol" from the text of the message, but I would recommend that "American Idol" be tempered with some change in your topic text. You might make reference to the term "idol" being synonomous with "hero" which I think that you already have done. Let me suggest that the Ted Williams text be listed under the topic of "Baseball's Greatest Player" and in your text you can refer to your or my opinion that Ted Williams was baseball's all-time greatest player. Baseball stories sometime get very personal. What this will do I believe will shift the emphasism from idolatry to heroism. Personnaly I consider "idolatry" to be a pagan term and not the positive that you are trying to achieve in your website. By doing a little revision to the texts present version I feel that you will get the benefit of two different exposures. That being "heroism" vs "idolatry with your site being able to reap the benefits. As a scholar and lover of the game you need to ask yourself this question. How much faster would you go to and how much more interst would you have in going to the topic "Baseball's Greatest Player" or "Baseball's American Idol? I placing odds that website visitors would go to "Baseball's Greatest Player" more consistently be keyed in more often. As you know curious baseball enthusiasts want to know who you think is the "greatest" and what your thoughts and reasons for selecting Ted Williams over their own personal heroes (idols). Odds are they are going to repond to you and let you know why their own personal heros (idols) are more suited for the title of being the "greatest" and why they feel that is the case. Benefits of this are two fold: 1. "Baseballs Greatest Player" a biased and controversial call in lieu of "American Idol". A two for one deal makes sense, don't you think? 2. Baseball enthusiasts with their own version of "Baseball's Greatest Player" and some valuable commentary and statistics as they lay their claim for their own Baseball's Greatest" and not the great Ted Williams. A great means for interraction on the internet with other baseball enthusiasts who share the love of the game of baseball. Carefully in relating baseball stories for we must keep in mind the fan who always is right in their calls of the game. There is no way to say with surety who is the greatest player of the game, but If Ted wasn't the best then lets find out from the fans who they think was and why they think their hero deserves the title of "World's Greatest Baseall Player." I believe "Baseballs Greatest Player Ted Williams " can have some far reaching effects in reaching a multitude of basball enthusisats and reward you in your internet effort to promote the game of baseball while earnings a little respect for a great website.
" Build the website and they will come", just as the fans came to the baseball games out in the country, after the vision of a baseball enthusiast to build a baseball playing field was completed. The movie "Field of Dreams" starring Kevin Costner is a must for every baseball enthusiast. Another movie that I highy recommend is "Sand Lot" starring James Earl Jones. Both movies are available at your local Video Store.If you have not seen these motion pictures I highly recommend them both. I also like the movie "The Natural" starring Robert Redford as the struggling Roy Hobbs who ends it all in the limelight of success. Elmer Fudd's filled with positiveness and optimism when he says: " I'm Gonna git that wabbit." Ole Elmer's a good role model in my opinion in that he knows what he wants and with a positive attitude he is determined to bag that "wabbit" that just seems to keep escaping him in his hunt. If we think like ole" Elmer and with grit and determination seek our goals eventually our efforts will payoff or it may be a possibility that Ole' Elmer may find rather than being succesful in the hunt circumstances brings about a friendship with his little short-tailed furry "wabbit" and he is able to live comfortably in his mind that even though his first and foremost goal has now been changed from what he would have been wonderful to a state of life that is wonderful and fulfilling with the resulting achievement on a much higher plain than originally intended. Elmer has a new found friend in "Bugs Bunny'. What price can you place on friendship? The internet can provide an avenue to establish new acquaintances and friends via the telling of baseball-diamond-stories with like interest. If that be the case and the money don't come you have received something more valuable than the money. Friends and a greater knowledge of the game and its players. Baseball-diamond-stories will be a continuing element of baseballfarming web pages. 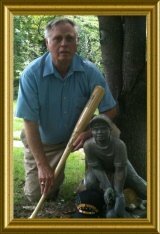 All of the baseball fans of all ages and for the ages will enjoy the listening and the telling of baseball stories. Questions about the game continues in many baseball-diamond-stories. By the way who was nicknamed "Wild Thing". He was a pitcher. Who did he play for and what were his achievements on the field? Where did he get his nickname? What are "box seats" and who can sit in them at the game? Can you name all the youth leagues and the age requirements for each? I know of the following: 1. Little League 2. T-Ball 3. Pony League 4. Colt League 5. Babe Ruth League 6. Dixie Youth League When and where was the first Little League World Series held. What teams played and who was the victor? Did anyone from this competition make it to the major league? How many Little Leaguers playing in the series have made it to the majors? Which player become the most famous out of this elite class of competitors of Little League World Champions? Sayornora (sp}, Adios Amigo, and Good Bye for now. What with all these questions the baseball-diamond-stories may never get told. Where in the world is he coming from with all the baseball-diamond-stories is he in Mexico or did he land in Japan? Feb 07, 2006 Diamond Talk No.8 Comments: When did the change from chewing tobacco by many baseball players to that of cracking (bird)seed in their mouth and spitting out the hulls take place? When the caretaker of the ball park said, "Enough of this tobacco spit from now on its Sunflower seeds or ejection from the park like a pilot from his Jet Aircraft." To what baseball player can we give credit to this now very popular means of passing time and releaving stress its debut? Are there any "Infamous Acts" associated with the game of baseball that you can recall? Yes ! In 1904 when the New York Giants refused to play the World Series. a. I recall a situation about in the old days of baseball where a team threw the World Series. A movie was made about the incident (Eight Men Out). b. George Brett and his "Tar Bat". What is a "Rally Hat(Cap)? How is a "Rally Cap" worn and for what reason? When did this "fad" make its debut? Can anyone or group of supporters be credited with the advent of this fan and player action to make a rally call for their team to overcome an impending loss and put some runs on the scoreboard and win the game? What player or players were inducted into the Inaugural Baseball Hall of Fame? What year and where did the first Baseball Hall of Fame induction of its "Stars of The Game" take place. What are prerequisites for a player or manager to be considered for induction into the Hall of Fame? How many persons are now in the Baseball Hall of Fame? Has any player or coach had his name removed from the Baseball Hall of Fame I personally don't recall anyone being removed. Has there ever been a baseball-diamond-stories related series or items of interest incorporated into the national newspapers (comic strip or editorial section) that you know of? If so " I'll see you in the Funny Paper". What are the players that you know who have played more than one major sport at the same time? I remember Bo Jackson and "Neon Dion" Sanders playing both Baseball and Football. Also, I remember that Michael Jordan trying his hand at baseball-diamond-stories while being a super star in the NBA or ABA Basketball Association. As Porky Pig would say, "Well That's All Folks". At least for now. "I'm gonna git that wabbit". Rabbits are for Good Luck and fortune so I'm gonna chase and have my "wabbit" . Isn't it amazing how a cartoon character such as Porky Pig could be so philosophical and right-on with the issues of perseverance and the idea that a positive attitude associated with action will bring about ones heart's desires to reality. Rainbows are beautiful and "Chasing Rainbows" is a wonderful thing to do , but odds are that you will find that little "wabbit" more abundant and easier to locate than a "Pot O' Gold at Rainbow's End." Count me in as a "Wabbit Chaser" instead of a "Rainbow Chaser". So let's me and you have us a little fun and go a "wabbit hunting" and bag us one. Can you top that for a bunch of baseball-diamond-stories? "A hunter's 'lucky rabbit's foot' on a chain is worth far more than an Intellectual's pipe smoked to "pipe dreams" where there was only smoke and no flaming fire to pursue the dream." 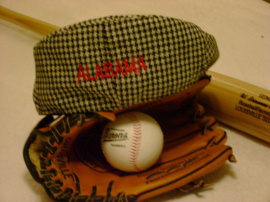 Pipe Dreams to Field Of Dreams you have it all at baseball-diamond-stories and Baseballfarming. Feb 3, 06 Diamond Talk No.10 Comments 1. You might look up the words Advent, inaugural and debut in the dictionary and see if you can use them. i.e As associated with the Baseball International Series (World Baseball Classic)or in other instances of first time happenings which have or may be an ongoing continuance in the game. 2. When was the first celebrity opening pitch tradition make its inaugural introduction for the beginning of the World Series event? Can you name that person and some of the others that have followed in the tradition? Has there ever been a wild pitch by a celebrity that the catcher could not handle? Who brings us the best Baseball-Diamond-Stories for the coming 2010 baseball year? When it happens it is sure worth telling here at baseball-diamond-stories pages for baseball fans everywhere. Bobby Thomson's homerun on Oct. 3, 1951 completed one of the most dramatic pennant races in history of Diamond Talk baseball stories. As of Aug.11, of the 1951 season ,New York "Giants" had trailed the Brooklyn "Dodgers" by 13 1/2 games. On this most eventful day Oct. 3, 1951, in the final game of the National League playoffs, the NY Giants' Bobby Thomson came to bat in the bottom of the ninth with Giants trailing Dodgers 4-2. Dodger pitcher Ralph Branca delivered an 0-1 pitch that Thomson blasted into the left field stands, giving NY Giants a 5-4 victory and the National League Pennant. "The Shot Heard Around The World." Now for the rest of the Baseball-Diamond-Stories: I'm sure Paul Harvey would want me to finish all the great Diamond Talk baseball-diamond-stories. The 1951 race in the National League looked like a cakewalk for Brooklyn; On August 12 the Dodgers led the slumping Giants by 13 1/2 as the dodger greats Roy Campanella, Don Newcombe, Gil Hodges, Jackie Robinson and Duke Snider were enjoying great seasons. However, the NY Giants sparked by eventual rookie of the Year Willie Mays and RBI champ Monte Irvin won 16 straight to cut the lead to five (5) games by Labor Day. Giants pitchers Larry Jansen and Sal "The Barber" Maglie were nearly unbeatable down the stretch. On closing day,of the season with both teams tied,the Giants won their game and The Dodgers managed a dramatic 14-inning victory at Philadelphia to force a best-of-three playoff. The teams split the first two, but the Dodgers jumped out in the third game and led 4-1,in the last of the ninth. The Giants though rallied off Newcombe;with two on,two out,and the Dodgers up by two, Ralph Branca came in to face Bobby Thomson,who unloaded a three run blast into the left field seats. This Baseball Diamond Stories learned was the first baseball game televised coast-to-coast and acquired a mythical quality over the years adding much to our baseball-diamond-stories and Diamond Talk stories. Although this dramatic event was a game and happening for the ages the Giants won two of the first three,the Yankees won the World Series in six. This suspense and drama and games and moments of pure ecstasy are the things of which makes Baseball-Diamond-Stories and Baseball the great game it is. Ump has cried, "PLAY BALL" So Baseball-Diamond-Stories awaits your welcome aboard with your very own baseball-diamond-stories. You might return to the top of The page Baseball-Diamond-Stories while we make room for more good incoming stories. Hope you enjoyed our sharing of Baseball-Diamond-Stories. You are invited to send us your Diamond talk to share with the world. Set Your Site To Succeed Site Sell and Solo Build It business support available for you all even in the proper language. International in scope and language. Go Shopping Play Fair And Win-Win.